Where is the Fortnite Hunting Party week 2 secret banner location? Epic Games’ colourful cast of characters are back for another does of loading screen-based adventures and, this week, Giddy-Up is galloping carefree through Wailing Woods, completely unaware that several Dire wolves are ready to pounce from the shadows. Don’t be fooled, though: the Fortnite Hunting week 2 secret banner location is not in the eastern forest area of the map. If you look carefully at the loading screen you get for completing all of the Fortnite week 2 challenges, you’ll see the faint image of a banner with an arrow pointing at an ol’timey carriage, with a glowing fly in the shape of the rift. 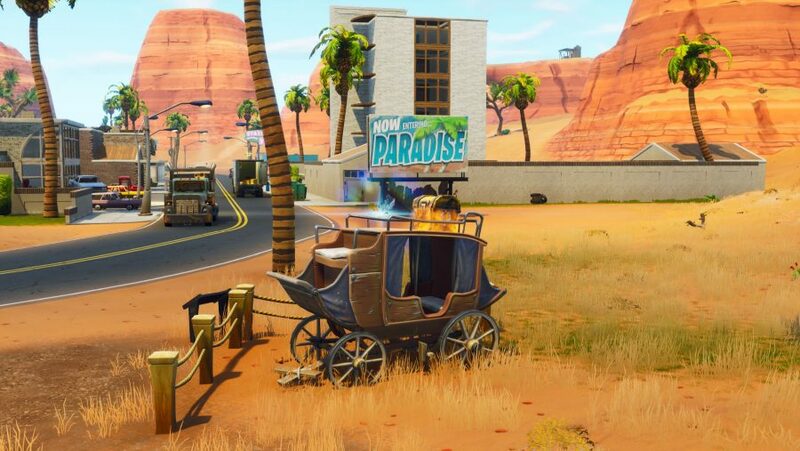 From this we know that you’ll find the Fortnite Hunting Party week 2 secret banner just outside of Paradise Palms. If you’re reading this you’ll surely know the drill: complete all the challenges from the corresponding week – so week 2, in this case – and you’ll unlock a loading screen which hints at the location of a secret banner or Battle Star. That means you’ll have finished the rest of this week’s challenges, including your visit to all Fortnite Corrupted Areas locations. Anyway, below you'll find the Fortnite Hunting Party week 2 secret banner location. Since the week 2 challenges are not live yet – they should be at October 4 at 2pm BST (9am ET / 6am PT) – this information in this guide is subject to change. The leaked loading screen comes via @DieBuddies, and they tend to be correct about these sorts of things. 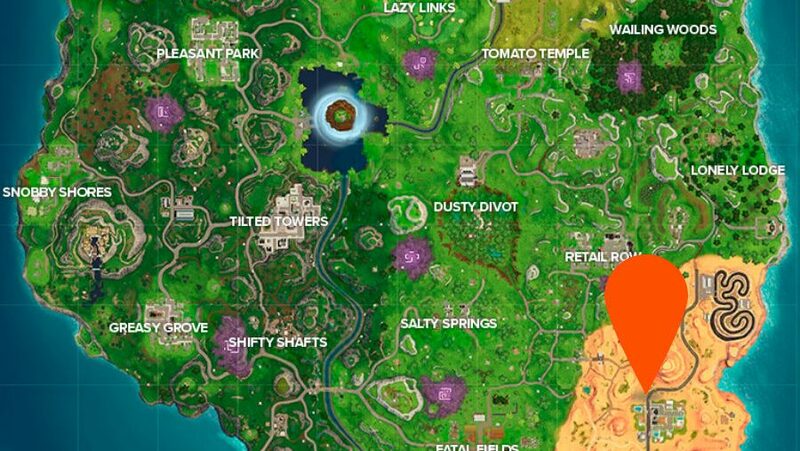 Regardless, we’ve marked the Fortnite Hunting Party week 2 secret banner location on the map above. When the time comes, enjoy your brand new banner.